The relief Society was never intended to be just a class for the women in the ward who did not have a calling elsewhere. Its intended purpose was much more exalted—bolder and nobler. The Female Relief Society of Nauvoo was organized under the direction of the Prophet Joseph Smith. From March to August of 1842, he met with the sisters six times, teaching them doctrine and giving them counsel, inspiration, and purpose. They were to be, he said, "a select society separate from all of the evils of the world, choice, virtuous, and holy," whose purpose was to "save souls" and to care for the poor and the needy. Emma Smith, the elect lady, was chosen as their leader. In their organizational meeting, with her prophet husband standing by, she declared, "We are going to do something extraordinary." And so it has come to pass. 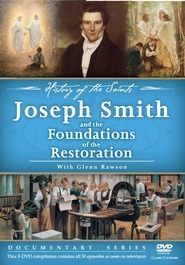 This History of the Saints one-hour documentary presentation takes you back to 1842 and the very beginnings of Relief Society, where Joseph Smith imparted the purpose, the vision, and the place of women in the Restoration: a place where "Charity Never Faileth." 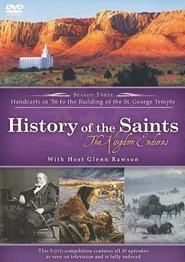 This documentary is hosted by Ruth Todd and features interviews with current and past Relief Society leaders and scholars on Latter-day Saint women's history. Learning more about the incredible sacrifices and diligence of women in early church history was faith affirming. 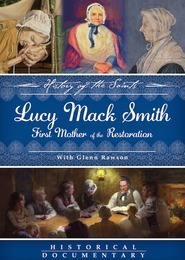 Emma Smith and dozens of other women carried so many burdens and in spite of difficult circumstances accomplished remarkable things as individuals and as the Relief Society. Loved the faith-affirming stories and messages in this documentary. Don't let the title fool you. This is NO history. It's just a bunch of platitudes and common places about how wonderful the Relief Society is, but zero about its origins or development. Some of the stuff said is more "feel good" material than any kind of history I know. Some of the sayings included don't even make sense. Some lady, for example, talk about how there were pressed flowers in the original minutes of the RS, which comes to show that this is an inspired text. What? Anyway, I haven't read the big volume on the RS yet, but I'm sure it has way, way more history than this. Save your money.